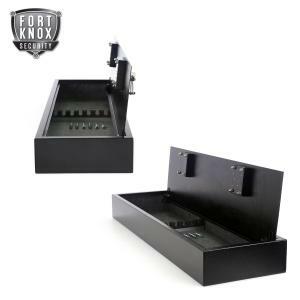 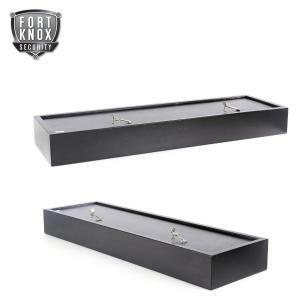 No Visible screws or bolts on the exterior of the safeThe Fort Knox Gun Safe cannot be opened without a minimum of one key which adds extra layer of security to your safe storage requirements. To unlock using keys you need the both keys to open the safe. 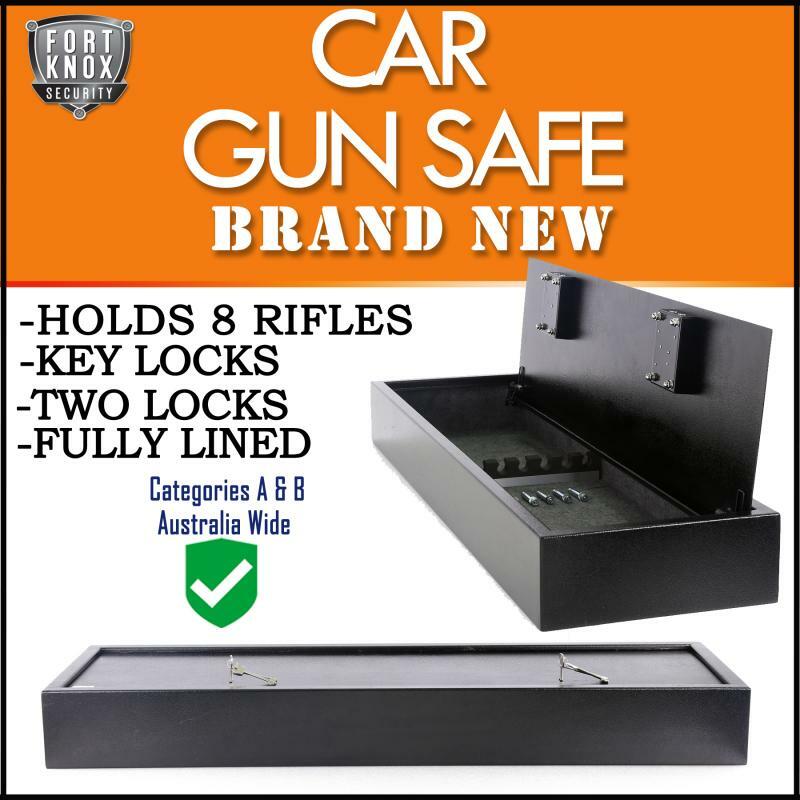 The gun Rack divider is height adjustable from upto 15cm to accommodate different length guns, The Gun Rack divider is also non scratch & can clips your guns in place so they do not fall out & get scratched. 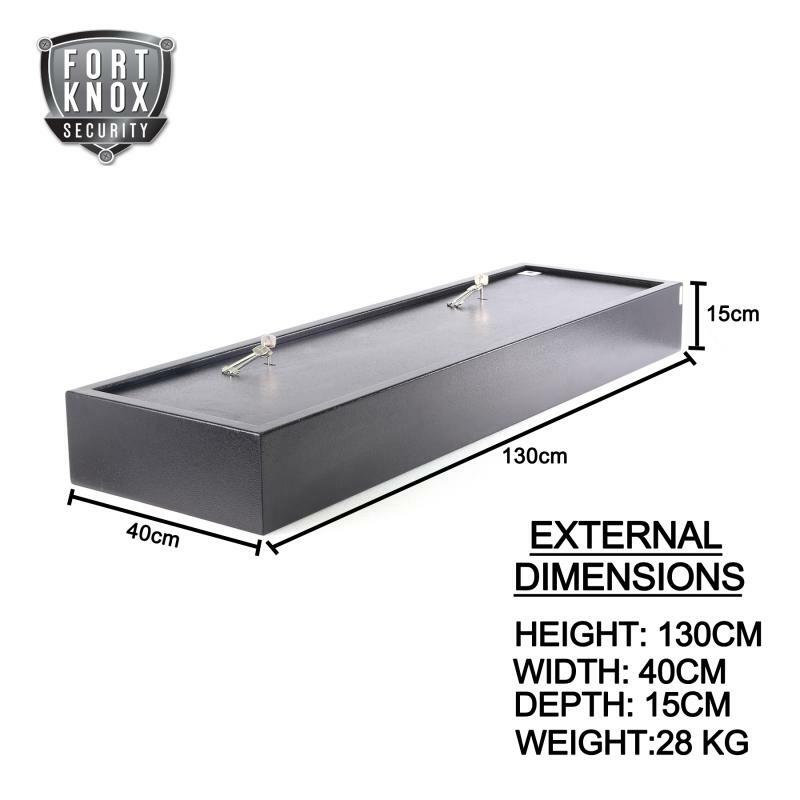 Solid Steel construction: 3.2mm Door, followed by a further 2mm backing plate total front door penetration of 5.2mm, The Housing/Body is 2mm. The electronic key pad has a memory chip that remembers your pin number even if batteries go flat and are later replaced.